Late last year, Samsung put an end to the notch era with the Galaxy A8S. Sadly, that device is currently only available in Asia, which largely puts it out of reach for people living on this side of the Pacific. But just recently, Honor followed up Samsung’s phone with its own punch-hole wielding bezel-less handset. 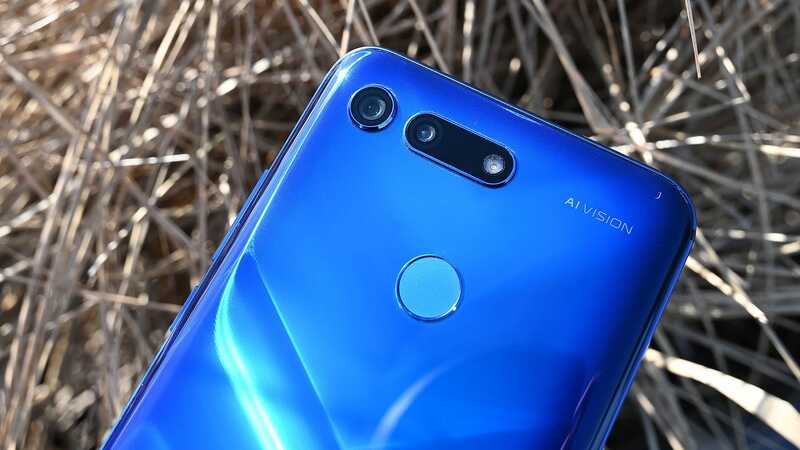 And after spending some time with the new $650 View 20, it feels like Honor has come up with a sanely-priced phone that performs as good as it looks. Now before we get to the View 20's features, I need to give some props to the phone’s aesthetics. 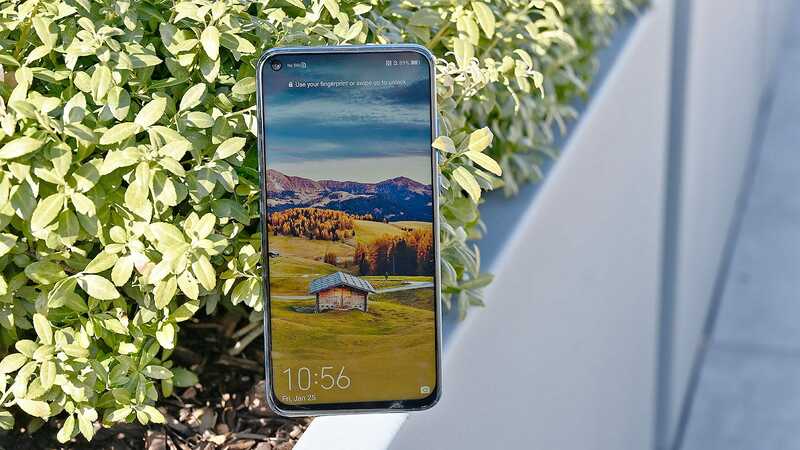 Between Honor and its parent company Huawei, the View 20 joins the Mate 20 Pro and a number of P-series phones as one of the most striking devices on the market. Which makes sense. As we’ve noted before, carriers have been discouraged by the US government to work with Huawei over numerous allegations of espionage, fraud, and theft. So the company has to make phones pretty enough that you’ll want to buy them regardless of Huawei’s press. In front, its 25-MP punch-hole selfie makes it the second phone in the world to sport this feature, while in back there’s a mesmerising V-shaped hologram that dances in the light. It’s the kind of visual flair that compels nearly every person that sees it to stop, gawk, and eventually comment on it. 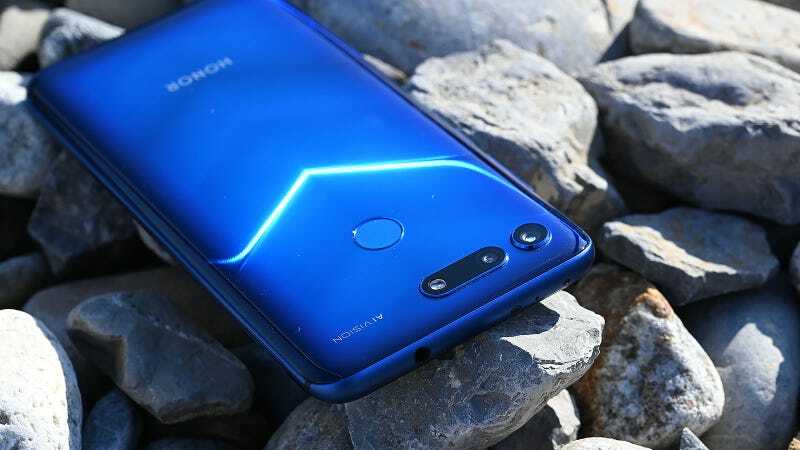 Honor says the effect is born from nanolithography in a process similar to what’s used on a lot of credit cards but claims the View 20 is the first time the technique has been applied to a phone. Elsewhere, the View 20's general size (6.18 x 2.97 x 0.32 inches) and curvy glass back make it feel a lot like a Galaxy S9+, though because the View 20 features smaller bezels, the phone’s screen is just a touch larger at 6.4-inches (versus 6.3-inches for the S9+). As for the screen itself, the punch hole for the 25-MP selfie cam feels ever so slightly less intrusive than a notch, probably because of its placement in the top left corner, and if it really bugs you, there’s still an option to mask the punchout with a black border. I’m not going to say the hole punch screens are a true revolution, but for such a simple evolution, it does feel like a step in the right direction. The View 20's display also features vibrant, sometimes eye-searing colours that make the icons in Honor’s Magic UI 2 look a little cartoony, but since the phone’s theme and colour profile can be easily customised, there’s not much to get worked up about. 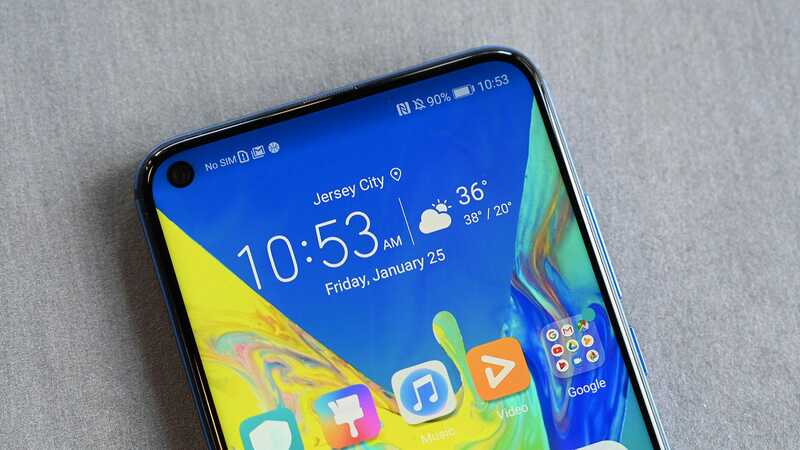 The phone also offers sufficient brightness of around 500 nits, though because it’s an LCD panel, you don’t get the same kind of contrast or black levels like you would on a more expensive OLED phone. Here’s a closer look at the View 20's punch-hole selfie cam. It’s not a revolutionary upgrade from notched-phones of the past, but to me, the punch-hole isn’t quite as distracting. The View 20's third and final standout feature is its 48-MP rear camera. It’s based on Sony’s IMX 586 sensor, and frankly, it’s sharp as hell. Without going too in-depth about Bayer filters and pixel grids, what makes the View 20's adaptation so nice is that depending on what you need, the View 20 can switch between shooting standard 12-MP pics, or full on 48-MP shots just by enabling the phone’s AI Ultra Clarity mode. While the latter has some limitations like requiring a decent amount of light and a preference for more sedentary subjects, it’s really nice having the option to extract max res from the camera sensor on demand. More generally, the Honor View 20's camera delights with shots that are well exposed (if sometimes bordering on being slightly overexposed). Low light images, even when taken with night mode turned off, sometimes look better than similar shots from a Pixel 3 – the de facto low light camera leader. The main View 20 camera quirk to watch out for is Honor’s AI photo tuning, which can go overboard on color saturation when shooting pictures of things like food, flowers or certain landscapes. 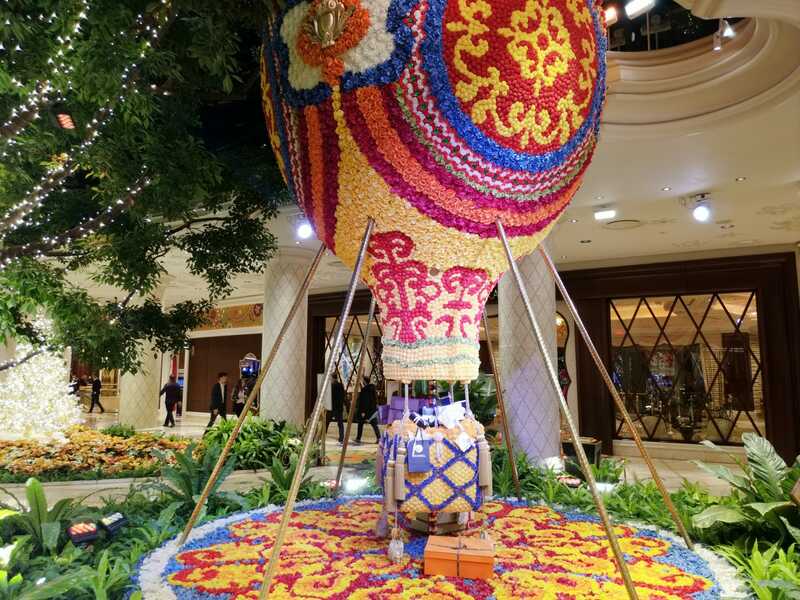 Here’s a full 48-MP sample photo from the View 20. It’s surprisingly sharp. In low-light without Night Mode turned on, I actually prefer the View 20's photo over a shot from the Pixel 3. 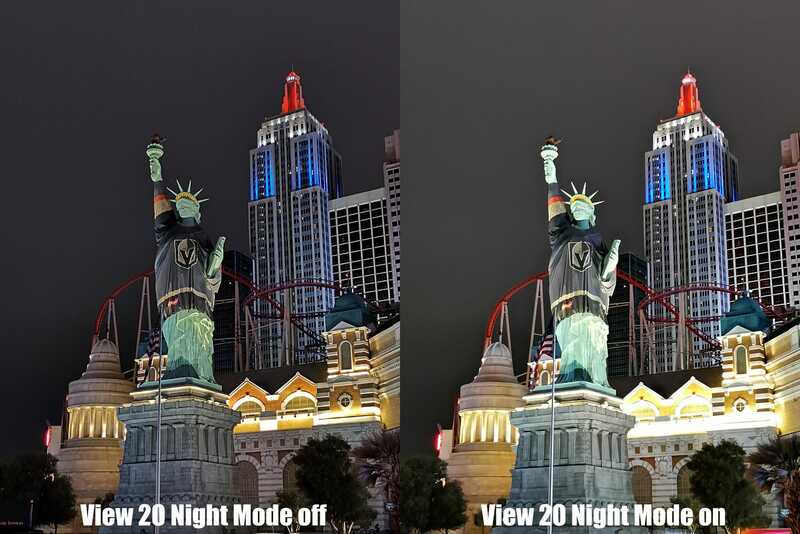 Though in more normal circumstances, the Pixel 3's superior HDR+ image processing wins out. I also noticed the View 20 prefers to shoot slightly brighter photos and has a tendency to push colour saturation a bit too high. To the right of the View 20's main camera, there’s a second sensor module that, in addition to helping out with various depth-of-field effects, also features a stereo 3D time-of-flight camera. That means the View 20 has to power to more accurately gauge how far away various objects are away from the phone. Yet while that sounds pretty neat, in practice, actual applications of the phone’s 3D camera are much more limited. Back at CES, Honor demoed the View 20's ability to use the 3D camera as a way to play games, so you can use your whole body to control a skiing game, or play Fruit Ninja with your arms instead of relying on touch controls. The whole effect is similar to what developers can do with an Xbox Kinect, though just like the Kinect, there aren’t a lot of titles that can actually take advantage of the feature, and to even use it, you kind of need a stand to prop up the View 20 just right. 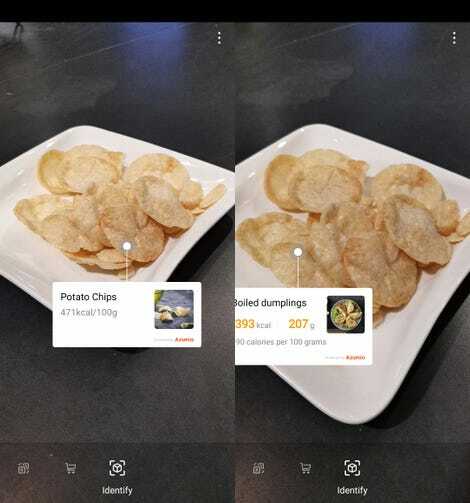 When trying to identify a plate of Popchips, potato chips is a pretty good guess. Boiled dumplings on the other hand, not so much. Aside from games, the View 20 uses its time-of-flight sensor to more accurately identify food, measure their size, and come up with an expected calorie count, which in my experience worked reasonably well on simple things like fruit or even a number of baked goods. But on trickier things, the phone was much more hit-or-miss. Regardless, if I was really trying to lose weight, I wouldn’t rely solely on the View 20 anyways, that’s the beginning of gadget-based mind trap. 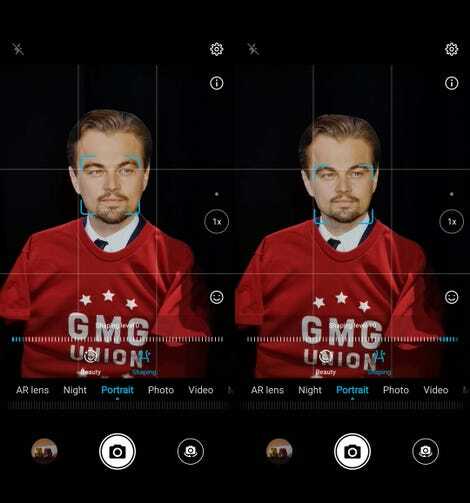 You can also use the time-of-flight camera in conjunction with the phone’s beauty mode in order to more proportionally slim down your appearance in photos without needing to become an expert in Photoshop. Honor’s slimming function even worked on a cardboard cutout of everyone’s favourite wolf of Wall Street. Not even Leo is perfect. It’s subtle, but apparently even Leo’s face can be improved. As for the rest of the phone, fans of wired audio will be enthused to know View 20 comes with a headphone jack. However, some of that excitement may be countered by the View 20's lack of wireless charging, it’s somewhat weak bottom-mounted mono speaker, and no official rating for water-resistance. Huawei says the View 20 should generally be immune to rain or a light splash or two. But if the handset takes a real dunk and dies, you won’t have anyone to complain to. At almost exactly 12 hours (12:01), the View 20 also offers some serious battery life. That said, I should mention that the average battery life of all the phones we tested in 2018 comes out to around 11 hours and 15 minutes, which suggests that phones with bad battery life are slowly becoming a less serious concern. You’re not dreaming, that indeed is a headphone jack on a new phone in 2019. In a lot of ways, the View 20 is stripped-down take on Huawei’s super premium Mate 20 Pro. It’s got the same Kirin 980 processor as the Mate 20, 6GB or 8GB of RAM, 128GB of base storage, and styling as eye-catching as anything else on the market. But for the View 20, Honor removed luxury extras like reverse wireless charging, an in-screen fingerprint reader, and face recognition in order to bring the phone’s starting price down to 570 euros (or around 650 freedom bucks). That’s a combination good enough to give my favourite mid-range phone – the OnePlus 6T – some decent competition. The View 20 is a stunningly good-looking device and surprisingly sharp picture taker. And for a lot of people who don’t want to drop a grand on a phone that can still make peoples heads snap, that’s a pretty respectable formula. 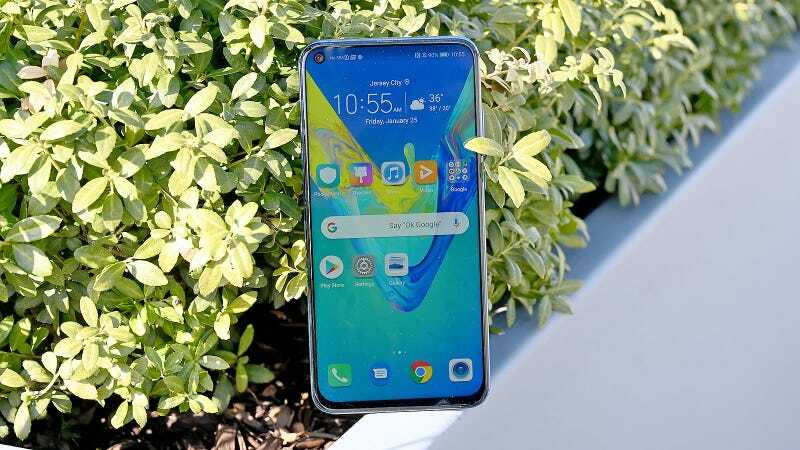 The Honor View 20 is essentially a stripped down Mate 20 with a few less excessively techy features in exchange for a nearly bezel-less screen with a punch-hole camera in front and a surprisingly sharp 48-MP rear cam in back. The View 20's 3D time of flight sensor is neat, but practical applications remain quite niche. For a phone that costs £500, not having wireless charging or official water-resistance is a bummer, but you do get a headphone jack. Runs Magic UI 2 based on Android 9 • Kirin 980 processor • 6GB/8GB of RAM • 128GB/256GB of storage • 6.4-inch 2310 x 1080 LCD touchscreen • 25-MP selfie cam • 48-MP rear cam • 4,000 mAh battery • USB-C 3.1 port • headphone jack • available in sapphire blue, phantom blue, phantom red, and black.